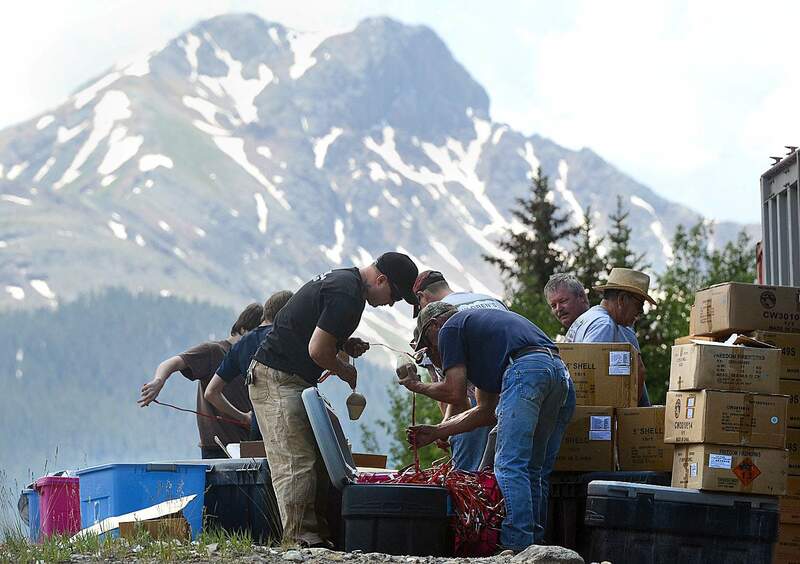 Volunteers help set up Silverton’s Fourth of July fireworks in 2014. Silverton has canceled its famed Fourth of July fireworks show because of the extreme fire danger that persists in Southwest Colorado. San Juan County Sheriff Bruce Conrad announced the fireworks display would be called off via Facebook on Wednesday afternoon. 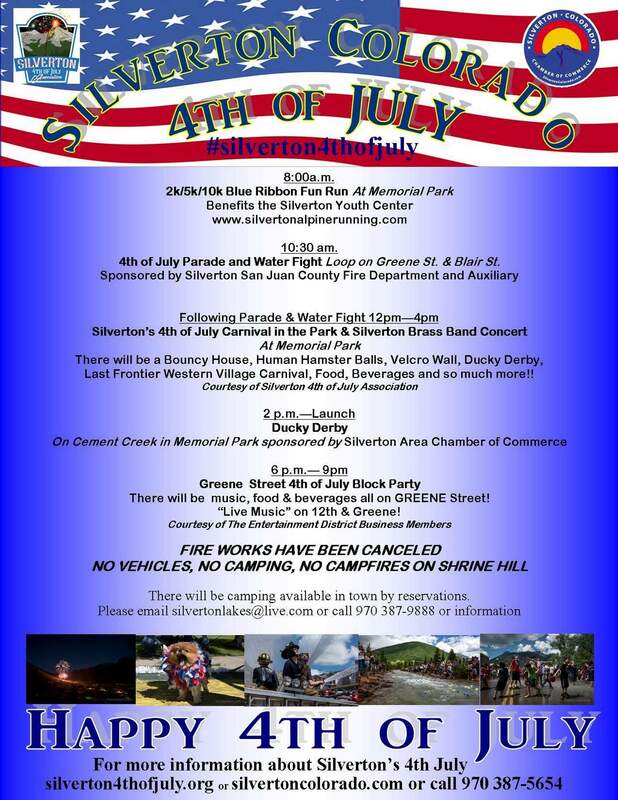 Silverton’s Fourth of July celebration, which culminates in one of the biggest fireworks shows in the area, is by far the town’s flagship and most profitable event of the year, drawing thousands of visitors. The town’s announcement that the fireworks display will be canceled follows suit with the neighboring towns of Durango and Pagosa Springs. It’s unclear if Cortez has canceled its fireworks show. Durango and Pagosa Springs plan to host Fourth of July events, sans fireworks. As for Silverton, the small mountain town about 60 miles north of Durango has already taken a hit during its peak tourism season because of the 416 Fire, which has largely closed U.S. Highway 550 and ended passenger service on the Durango & Silverton Narrow Gauge Railroad since June 1, when the fire started. 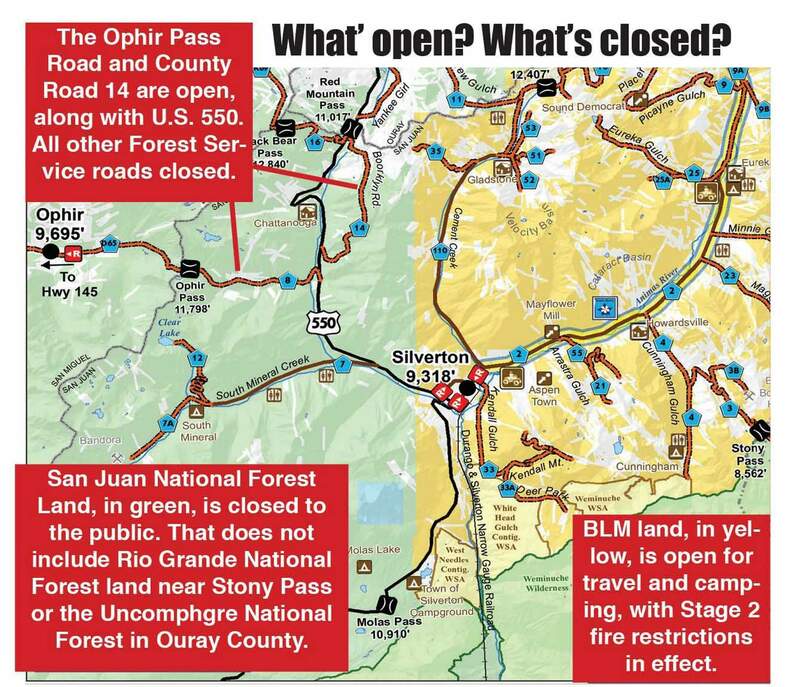 Silverton officials, however, are pushing a strong message that the town is open for business, touting the hotels, restaurants, shops and backcountry trails that are operating. Though the San Juan National Forest is closed, lands managed by the Bureau of Land Management and San Juan County remain open, notably the Alpine Loop. Gallegos said it’s important for people who recreate in these areas to remember Stage 2 fire restrictions are in place. And though Silverton’s economy isn’t seeing the thousands of visitors it usually does at this time of year, resilient residents are trying to get by.